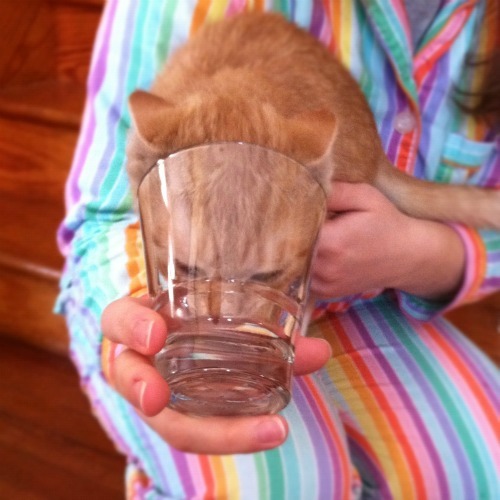 fit his whole head in my water glass. I cant get over this lil guy!! He is the cutest thing ive ever seen!! I just got a tuxedo kitty!! Finally got your link to work on my site!! Can you put me on your favorites list also? !